Depending on how long you have been running your business, you may have thought the rise of television and the Internet were the end of print media. As you, and many other business owners have noticed, the medium continues to thrive. Although people have been predicting the death of print newspapers and print advertisements for years, it’s evident that the industry is still surviving and providing brands with quality opportunities to connect with prospects and customers. Here are some of the reasons why you should choose print media, and examples of brands who have created successful print ad campaigns. Local News: Smaller community newspapers are printed weekly, and are unbeatable for capturing the spirit of a community. If you are a local business opening a new store, or a medium-sized business moving into a new neighborhood, local newspapers are the perfect place for you to advertise. Multiple Platforms: print newspapers are embracing the web and mobile devices just like every other type of medium. If you want to be even more accessible to your consumers and prospects, you can create digital newspapers that people can browse through with their thumbs. Simply put, print media is more adaptable than ever before. Uses Demographic Data: To understand customers better, advertisers will use the Internet. Newspapers are beginning to see the value in mining demographic data as well. When a customer interacts with the product on a newspaper’s web site and social media, brands can keep tabs on readers’ lives and understand what is important to them. Readers Absorb More: When people read something physical, they are better able to absorb the information. If you’re providing valuable information about your products or services to your prospects, they will benefit from reading about it through a magazine or newspaper ad. Print Is Artistic: Print media is a beautiful way for you to engage your prospects. You can get artistic, creative, and unique with the way you present your ad. Print media has the ability to grab a consumer’s attention, and marvel at the images and text. 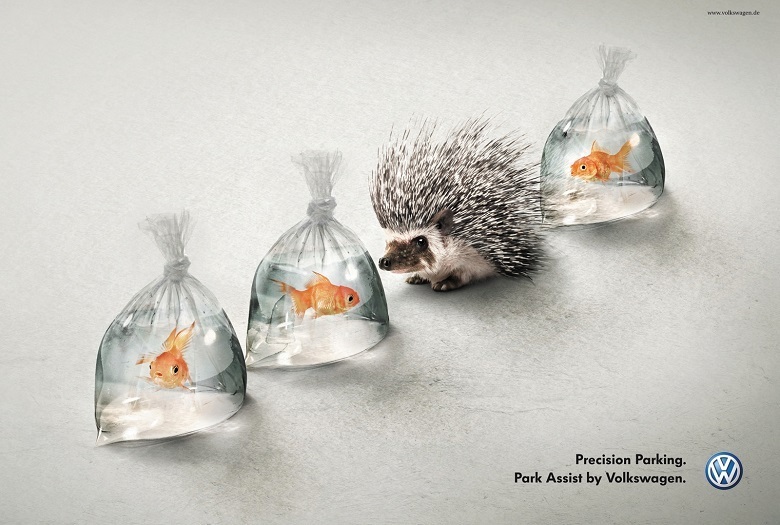 This creative print ad by Volkswagen depicts the importance of precision parking by using a row of goldfish in bags and a porcupine in between them. From this single image, the brand was able to effectively introduce its new Park Assist feature. Schick took a clever approach to its products by Photoshopping a furry rodent into the man’s beard. It makes you look twice, and reflects what it might be like from a partner’s point of view. Without saying much, the ad encourages bearded men to get a trim. Dish-washing-soap-brand Fairy created an ad that plays on the concept that “some things are hard to separate.” In the image, it shows a ceramic-like word “work,” with greasy letters on top that spell “Facebook.” As the ad suggests, for tough situations, its soap is effective at separating grease from dishes. The World Wide Fund for Nature (WWF) created an ad that strikes viewers at their hearts. It shows a bird’s-eye view of a forested area shaped like two lungs, and one section of one lung destroyed and brown. The ad doesn’t say much but its message is clear and impactful. 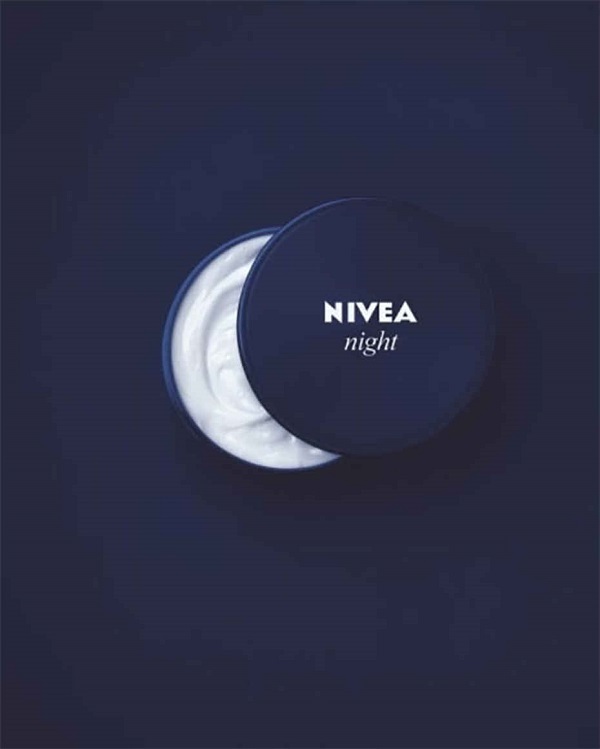 Simplicity goes a long way and Nivea took this minimalistic approach to their night cream ad. Instead of saying what the product does and why it should be used, it relied on recognizable branding and its reputation to let customers come to their own conclusions. The cap is slightly off to the side of the cream container, making a crescent moon shape and emphasizing that the product is intended for nighttime use. 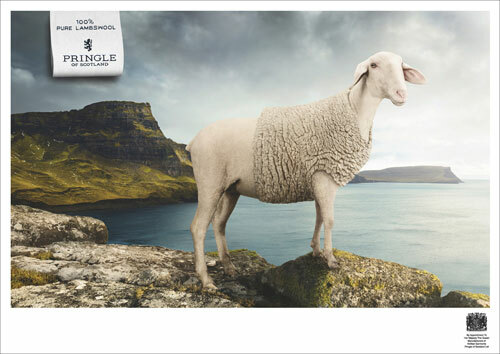 Luxury knitwear manufacturer Pringle of Scotland used a lamb wearing a vest made of its own fluff to emphasize that the brand uses only authentic wool. The ad is humorous, lighthearted, and effective. Plus, the lamb looks unharmed and content, which may appease those sensitive to the use of animal products in clothing. This ad is designed to promote Harley-Davidson’s custom bikes and shows an image of a man’s face created with dismantled pieces of a motorcycle. Although the ad must have taken a very long time to make, it is worthwhile in showing how each customer can make their bike original and unique from all the others. McDonald’s has been criticized many times by health professionals as unhealthy food, so to combat these ideas, the brand used an image of fries fashioned from its original ingredient, shaped like a container. This ad aims to settle consumer worries about nutrition and health, by reassuring them and engaging them. Why Choose Macromark for Print Media? Now that you understand the relevance of print media advertising, it’s time to boost your marketing campaign and start bringing in more customers. The process may seem time-consuming and extensive, but with the right support, improving your marketing strategy will be more straightforward than you think. It doesn’t take much to make your ad campaign inspire prospects and create interest about your products or services. Standing out from the crowd and engaging readers is essential to growing your customer base and getting them to visit your store or web site. There are many advantages to using print media to market your products and if you work with a professional marketing agency you can benefit from these advantages. If you want to experience the advantages of a successful print media strategy, you may want to seek direction from the experts. Macromark can help you understand the pros and cons of print media vs. electronic media and this opportunity to grow your customer base. We can provide all the information, advice, and assistance you need to get your print catalog marketing campaign up and running. Our services also include print media, direct mail marketing, list brokerage, data solutions, list fulfillment, and list management. For more information about how we can help grow your business, contact us at 1-(845)-230-6300.